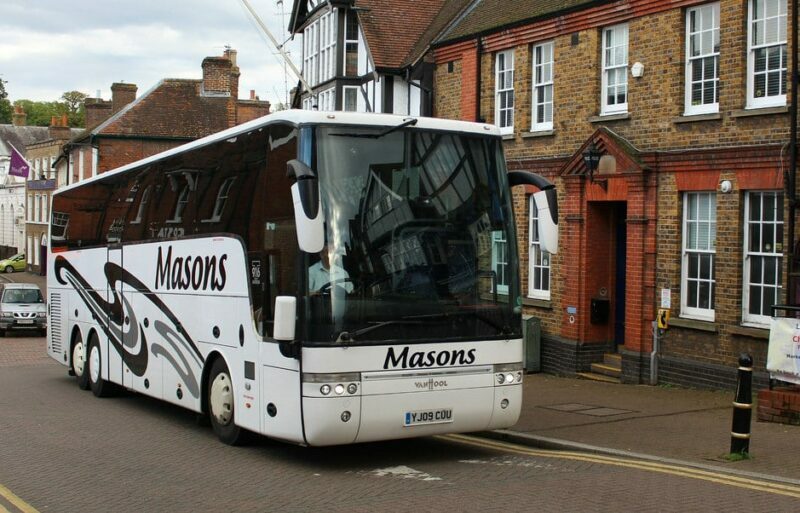 Established for over 30 years, here at Masons we hold an extensive amount of experience within the travel industry. We specialise in mini bus hire and coach hire services throughout Princes Risborough, additionally we also provide coach trips at competitive prices. Whether you want a family theatre trip away, need a ride to the airport before jetting off into the sunset, or are getting ready for your amazing hen night, whatever the location, we can provide the vehicle to best suit your needs. Located 12 miles’ from Princes Risborough we are able to offer our services throughout this town and the surrounding areas. Give us a call on 01296 661604, alternatively fill out our online contact form, and a member of the team will be in touch shortly.